For more than 15 years I’ve been working with clients to create and run successful customer feedback and Net Promoter® programs. Over that time we have seen many implementations: some good and and some not so good. While we’ve seen lots of great ideas and know quite a few pitfalls that will likely spell failure, we wanted to really expand the statistical validity of our anecdotal evidence. So we performed some primary research. The goal of this research was to identify which attributes of the customer feedback and action process contribute to overall success and failure. Customer feedback is often seen, at worst, as a compliance task and, at best, as a long-term way to increase sales and customer retention. But it doesn’t have to be that way. Yes, the customer feedback process does drive long-term customer loyalty and lifts revenue but you can also use the data in a much more immediate way. Approached in the right way you can drive short-term sales and CustomerGauge explores how to do that with its software in this practical webinar. A marketing and PR strategist dedicated to helping companies leverage greater customer engagement, brand visibility and profits through tried and tested digital methodologies. A simple change in words can influence the response. Choose your words wisely as it may skew your results! 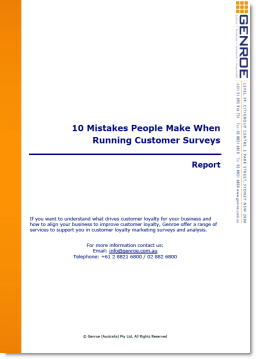 The length of your customer survey is just as important as the questions you’re asking. So exactly how long should your customer survey be?